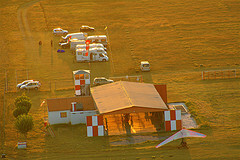 If you are interested in flying ultralights, head towards your nearest ultralight clubs hangar and introduce yourself. Get to know some of the pilots and find out if you can get some ultralight air. Before you know it you will be boarding for your first ultralight aircraft joy flight (I can almost hear your joyous hysterical screaming from here). Then there is the fact that you all love aircraft. With all the different models of ultralight aircraft you are bound to fall head over heels, intensely passionate about one of them. Catch a glimpse of these ultralights. Possibly the best of the best is the air time. Nothing absolutely nothing beats getting your feet off terrafirma, clay, dirt, earth - whatever you wish to call it. Just flying around up there with the wind in your face and the earth below. Everything about flying cannot be compared to anything else. 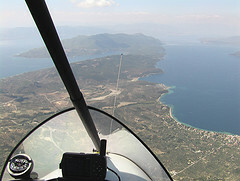 The take-off, climbing, flying, soaring and then the eventual descent is amazingly fantastic. At times even with the engine roaring it can be so peaceful it's almost like your somewhere else. That's just some of the reasons to join any of the many ultralight clubs. Breathtaking, picture perfect, sensational views, scenery, rivers and streams, beaches and coastlines, hills and valleys. Heck even the clubhouse looks great from up there. Just ask anyone that is a member of one of the many airplane clubs or aircraft clubs and they will all agree. Yes it's true, there is a lot of socialising that goes on at most clubs. However, there is also a lot of business happening too. For instance - what is the point of having any type of club if there is no training happening? This is the main reason some clubs exist. The same is true for any ultralight aircraft club. 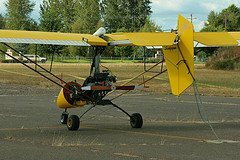 Should you be interested in becoming a pilot and/or purchasing your very own ultralight airplane or helicopter - the very best place to get all the knowledge, information, resources is in the club. Joining one of these clubs is easy. Sometimes finding them is not. If you know of ultralight aircraft clubs or would like to know of any clubs that are in your area please leave the details on the form below. I will be sure to add it to this page promptly - Thanks. 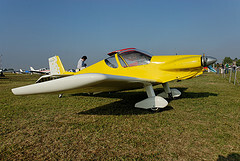 Last flight from Ultralight Clubs to Airplane and Aircraft.com home page.